Infinite knowledge is impossible as each human soul wandering the planet will have subjective experiences that will help to form their norms, values, tastes and sense of style. But although we’re all different humans can sometimes find consensus, an agreement, a bench mark and an accepted standard! 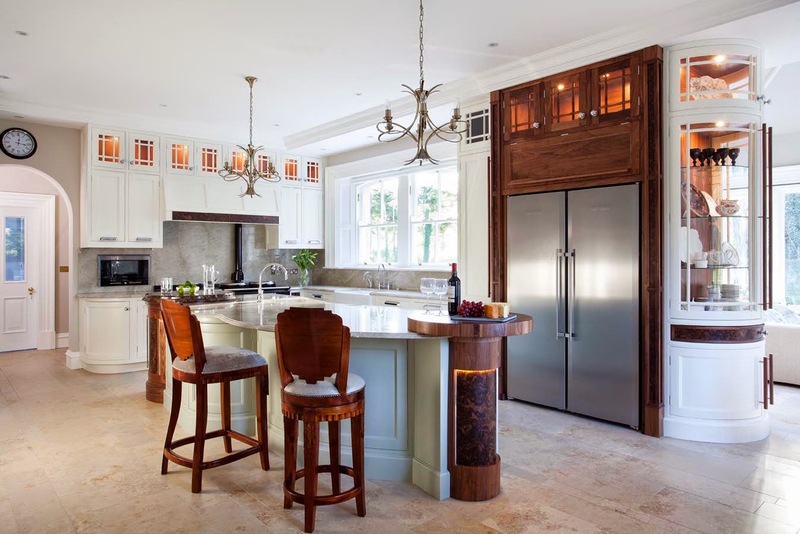 It is therefore fitting that the kitchen we think we know should become reshaped into something more abstract, a more vibrantly defiant art form, which may appear alien to many, but maps out the progressive direction that kitchen design is taking. This is a splendid example of how kitchen design is changing. This is a play with shapes and colours but also a realisation that functionality does not need to be restricted by architecture, design or expectations. The two dimensional layering is great creating steps within the design and adding colour just increases the sensory pleasure. Is that a Daniele Lago kitchen? I came across the style a couple of years ago and fell in love with it ... in spite of the fact that the sink and the hob are usually too close together. It sure is a Lago Kitchen - The Mogul loves this approach as well - nice to be different! Thanks for dropping by Majjie!